When pallid bats are stung by an Arizona bark scorpion, they shrug it off as if nothing even happened, which is odd considering this predatory arachnid is the most venomous scorpion in all of North America. New research explains how this unusual level of immunity is possible—a finding that could translate to an entirely new class of painkillers for humans. Getting bit by an Arizona bark scorpion is not fun. Its bite causes excruciating pain, followed by numbness, tingling, vomiting, and sometimes even death. 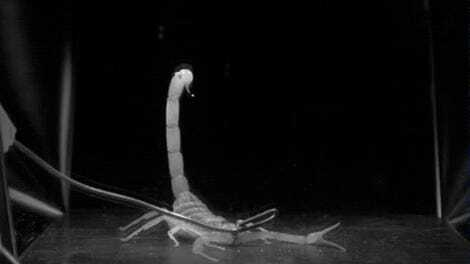 For small animals that like to prey on this creature, typically birds, reptiles, and various rodents, this scorpion’s sting is likewise painful and deadly, but as new research published this week in PLoS One reveals, the bark scorpion’s venom is utterly and completely useless against the pallid bat. Scientists have long suspected that pallid bats are resistant to this scorpion’s deadly sting, but no one has actually taken the time to prove this in the lab. Not only that, scientists weren’t even sure if pallid bats, which range from British Columbia to Mexico, even prey on Arizona bark scorpions. The new study, led by University of California Riverside biologist Khaleel A. Razak, is the first to take a systematic look at this alleged scorpion-bat relationship, showing that pallid bats do indeed prey on this scorpion, and that they’re unfazed by its venom, even after multiple stings. Pallid bats are gleaning bats, which means they pluck animals from the ground, like crickets, centipedes, ground beetles, and grasshoppers, while using their echolocation strictly for navigational purposes. Using high-speed video, the researchers confirmed that pallid bats attack Arizona bark scorpions, and that the scorpions sting the bats in self-defence—but to no avail. 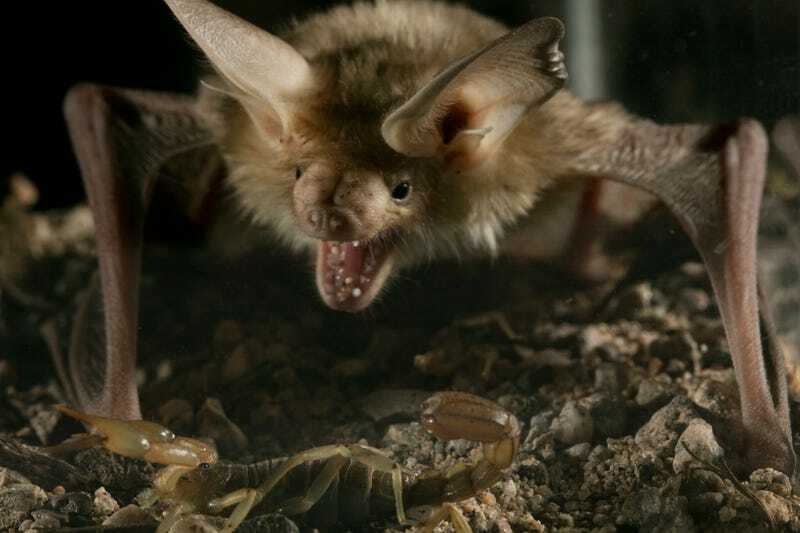 The study showed that pallid bats are resistant to the scorpion’s venom at concentrations that would cause significant pain and death in mice. Even direct injections of the venom had no effect on the bats and their behavior. Looking ahead, the researchers would like to learn more about this process and see if it can replicated with drugs. If successful, this finding could one day result in an entirely new class of pain relieving medicines. How cool would it be to take a pill inspired by bat biology?